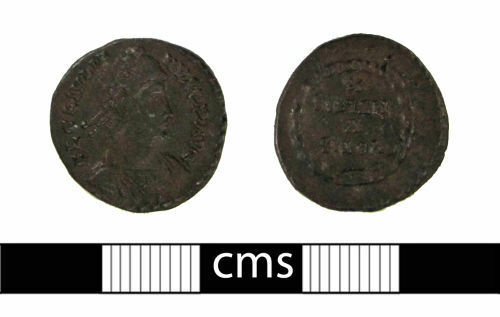 An incomplete silver Roman siliqua of Julian (AD 360-363) struck at the Lyon mint. VOTIS X MVLTIS X reverse. c.f. Sear (1988) No.4071. Roman silver, probably unclipped, siliqua, Julian II, AD 360-363, VOTIS V MVLTIS X, Arles, 360-1. RIC VIII no. 295.